On the 11th October Circle hosted our 6th Annual Lecture at George Heriot’s School. This year our aim was to explore the support that care experienced young people need in the home, at school and in the wider community to enable them to grow into happier and more resilient adults, as well as examining how services can adapt to facilitate that change. Circle’s Chief Executive, Rhona Hunter (right), greets guests as they arrive. 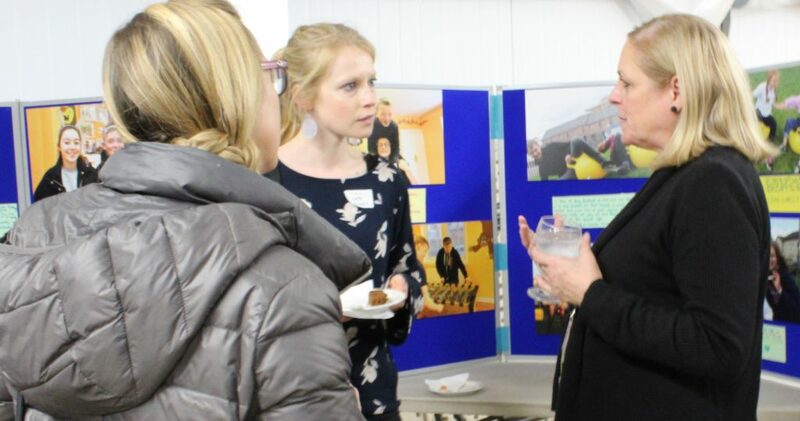 We were delighted to welcome Fiona Duncan and Thomas Timlin as our keynote speakers as well as Councillor Eleanor Bird, Edinburgh Council’s ‘Young People’s Champion’, chair the event for us. Fiona Duncan is Chair of the Independent Review into Scotland’s care system. The Independent Care Review’s aim is to identify and deliver lasting change in the care system and leave a legacy that will transform the wellbeing of children and young people. 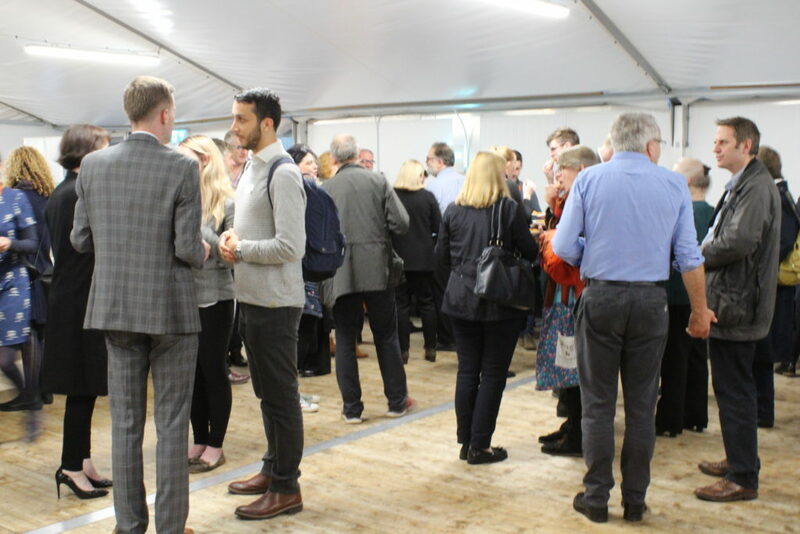 The crowd gathers to enjoy refreshments kindly provided by George Heriot’s in their refectory. Thomas Timlin is a campaigner for care leavers, utilising his care experience to create positive change within Scotland’s care system and is a member of The Discovery Group of the Independent Care Review. It was encouraging to hear about how the Review into Scotland’s Care System will work to positively impact cared for children in Scotland. The presentations, and following discussion, gave some powerful insights into the direction and scope of the Care Review’s work. We’re sure the audience left feeling hopeful and inspired by The Review’s vision: to have the best ‘care system’ in the world. At Circle we are acutely aware of the challenges faced by Scotland’s most vulnerable children. 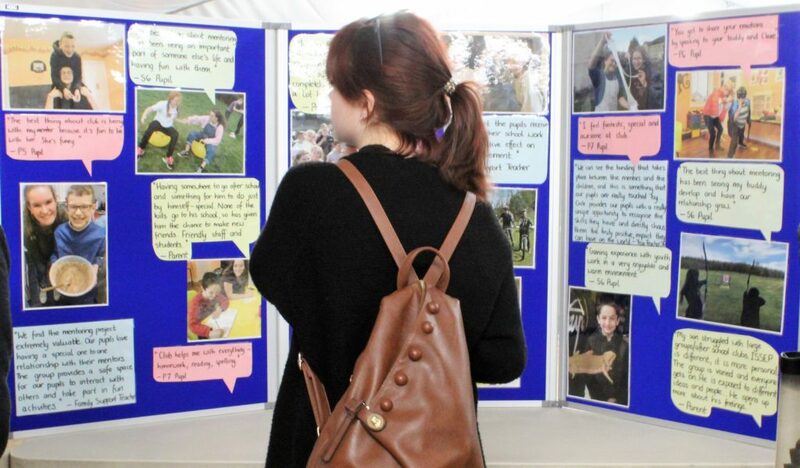 We work hard to ensure that where possible children’s views are considered and families can be kept together. 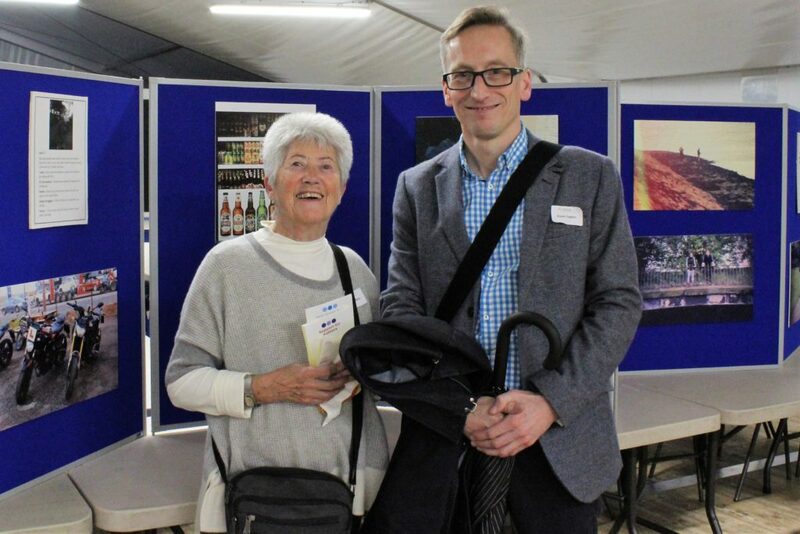 Circle’s new Chair Grant Sugden meets Norma Baldwin, a previous trustee, who had traveled from the North of England to attend the event. A huge thanks to our hosts George Heriot’s School. In addition to providing a wonderful venue and catering for our annual lecture, on the very same night S6 pupils and staff completed a sponsored sleep-out to raise funds for Circle. About 160 pupils and 7 staff endured the cold and rain, raising thousands of pounds to help support local children and families. Such an amazing effort, well done to everyone who took part! Guests were able to read about Circle’s various projects with information and photos positioned around the room. Thank you to everyone who attended on the night and made this event another important step towards building a fairer care system in Scotland. If you didn’t get an invite but would like to be invited to future events then please let us know.